What Are the Different Methods of Teeth Whitening? Before you consider teeth whitening methods, it’s important to understand how they work, in order to make an informed decision that best suites your teeth whitening needs. Choosing a whitening method for your teeth can be confusing and overwhelming, with so many teeth whitening products available on the market today. Over-the-counter or from your dentist, it is often challenging, deciding what teeth whitening option is best for your situation. Learn about the three methods used for teeth whitening, and decide which one will best suite your teeth whitening needs. What is Professional In-Office Teeth Whitening? Professional in-office teeth whitening is exactly that; professionally done by your dentist. Often regarded as the best option available for teeth whitening, because it is done in a controlled environment and is supervised by a dentist using a high concentration of Hydrogen Peroxide or Carbamide Peroxide . This method is perfect for someone that desires the optimum results in the shortest amount of time, since results are seen in as little as one hour. Although considered expensive and it is not typically covered under a dental insurance plan, the convenience and results achieved may prove worth the extra cost. What is Professional Take-Home Teeth Whitening? Professional take-home teeth whitening kits from your dentist contain a high concentration of either hydrogen peroxide or carbamide peroxide and provide results in 1 to 2 weeks of prescribed use. Custom-fit trays keep the teeth whitening solution on the surface of the tooth and allow for only slight exposure of the solution to the sensitive gingival area. The cost of take-home teeth whitening is considerably lower than in-office whitening, but again, not typically covered under a dental insurance plan. Some people report that it is sometimes hard to find a good time to use the product, or even remember to do so. You may achieve some level of whitening with any one these over-the-counter teeth whitening options. Many of these methods merely remove surface stain and do not actually whiten the dentin layer of the tooth, or contain a low percentage of hydrogen peroxide that will not effectively whiten the tooth. Check with your dentist before using over-the-counter methods. Looking for an orthodontist in Beaverton, Oregon? Biermann Orthodontics is a cutting-edge orthodontic practice that serves Beaverton and Molalla, OR, and focuses on providing world-class customer service and efficient treatment. We strive to create stunning smiles in the shortest amount of time without ever sacrificing quality. Visit our Locations page to find a clinic near you, or schedule an initial consultation. 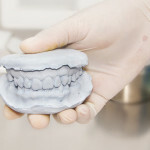 http://www.mcbiermann.com/wp-content/uploads/2015/02/white-teeth.jpg 300 702 mbiermann http://www.mcbiermann.com/wp-content/uploads/2014/09/lgoo.png mbiermann2015-02-18 01:02:482015-03-04 04:17:32What Are the Different Methods of Teeth Whitening?